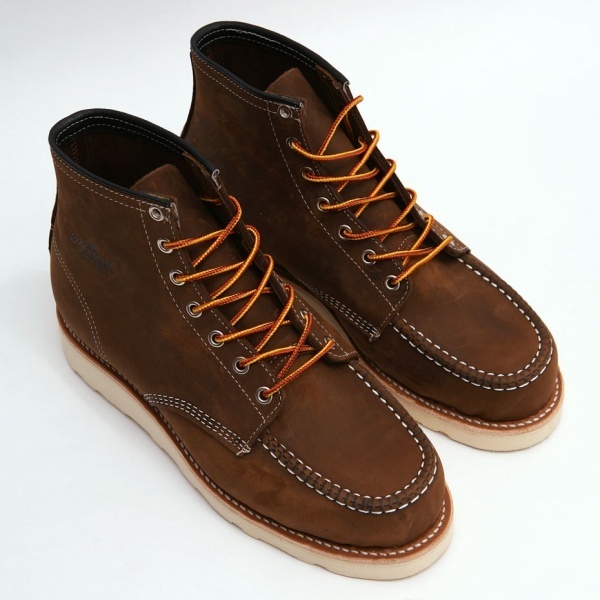 Thorogood produces the Mocc toe boot, a brown leather outdoorsmanâ€™s boot, boots designed to be lived in. The boots are made by American labor, and featuring a slim moc toe, with rich brown leather, on top of a Goodyear welted Vibram sole. Tough hiking laces and a seven eyelet construction finish this rugged design. Available online now.